Hard work and dedication has paid off for a Telford woman who has now qualified as a legal executive at Martin-Kaye LLP Solicitors. Amanda Wickstead originally joined us as a legal secretary in the commercial corporate team, and after studying for her qualifications alongside her day-job, she has now been named as a Fellow of the Institute of Legal Executives. "Before I could officially call myself a legal executive, I needed to complete five years' training, and two years had to be done in the work place after my final exams. 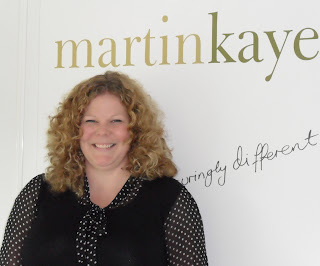 My time at Martin-Kaye Solicitors has been an incredible learning curve so far, and I'm extremely grateful for their support during my training. "I'm particularly indebted to Stuart Haynes, who leads the commercial corporate team, as he gave me the opportunity to take up this chance to develop my skills, and has been very helpful throughout the learning process." Amanda is now working as a legal executive in the commercial corporate team dealing with commercial contract work and company secretarial work. Charity was the winner after one of our lawyers negotiated an unusual settlement in a dispute between two companies. Mohammed Ahsan was the lead lawyer on the case which had run for almost five years and had involved hours of legal arguments and court proceedings. "The dispute arose because the first company lodged a claim and the second lodged a counterclaim, and neither side was prepared to give way. It became a matter of principle that neither company wished to pay any money to the other side, and it looked as though we would have no option but to go to trial. "But in a long and intense mediation session, I wanted to have one last attempt to resolve things, so I suggested our client would be prepared to pay £5,000 to a charity of the other side's choice in full and final settlement of the case," said Ahsan. "And in a surprise twist, both companies accepted the deal. They agreed there would be no payment of legal fees and once the charity had been paid, the case would be over. This way both parties were able to resolve the issue, and charity is the winner at the end of the day." Senior partner, Graham Davies, said: "We were particularly impressed with Ahsan's unusual approach, and it's a clear example of how our lawyers are prepared to think creatively in order to reach agreement for our clients. Long-running disputes take up valuable time and money, and this case shows that Martin-Kaye's lawyers can bring flexibility and lateral thinking to what can be a drawn-out and complicated process."